All over the world, marketers are exploring new ways to use messaging apps for marketing and social selling, from standard SMS to free messaging apps like WeChat, WhatsApp, LINE and Tango. We’ve gotten so many requests from our users to add messaging app support to our Social Media Center, we’ve rolled out new support for each of these applications, as well as Kakao, Skype, Slack, Viber and FB messenger. Is it a Cultural Fit for Social Selling? The first thing to consider is the cultural fit for messaging within your market and your part of the world. 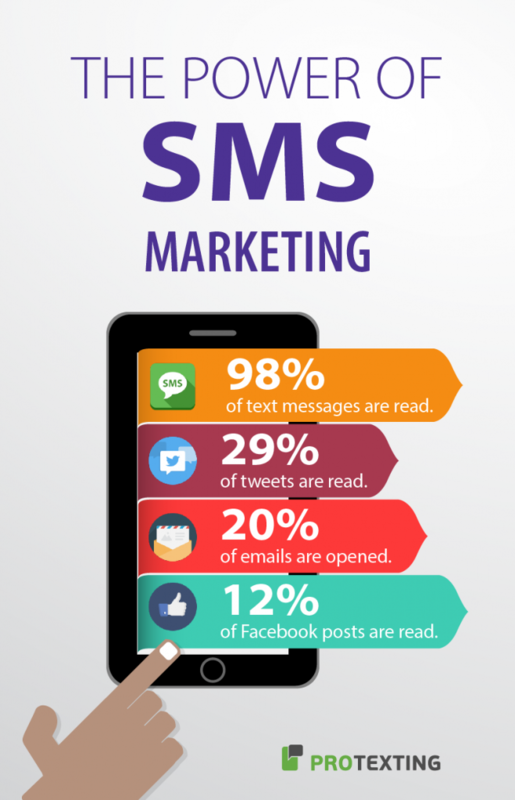 In general, customer response to SMS marketing is on the rise across the globe. The vast majority of consumers report opening every message they receive, and a growing number of consumers say direct communications from brands they do business with is helpful—particularly when solving a problem or finding a good value. In parts of Asia and Latin America, mobile messaging apps are growing in usage faster than any other communication channel, and consumers often appreciate direct communication rather than searching for information on the web. In other parts of the world, particularly in Europe and North America, many consumers are sensitive about marketing communications on their mobile devices, but younger generations are used to high volume messaging and are more open to this channel of marketing. So before you consider sending posts and messages to sales prospects via messaging apps, make sure you understand the cultural norms and expectations for your audience—and of course, any laws that govern marketing and sales communications with your prospects and customers. The easiest techniques for messaging with customers involve responding to customer activities, providing support, or offering deals and coupons for returning customers. Since these involve existing customer relationships, they are the least regulated and often the most welcome communications among customers. ? When you don’t have an existing business relationship with a prospect, opt-in campaigns—in which prospects give you their number and agree to receive messages—are the best way to make sure your prospects are ready and willing to receive your messages. The rule of thumb for marketing via messaging is to make sure your message is short, direct, and has an immediate action the user can take. Like a lead generation campaign, an opt-in messaging campaign involves offering something to your prospects in return for their agreement to receive messages. Most businesses offer coupons, special deals, or access to promotional items and events. Using the Social Media Center, you could also offer alerts and updates on issues that are important to your customers and prospects, such as new security threats, significant market events or new product announcements. The idea is to understand what kind of information might be important to your prospects, and to find a meaningful way to deliver it to their mobile device via messaging. The rule of thumb for marketing via messaging is to make sure your message is short, direct, and has an immediate action the user can take. Messaging is not the medium for building a cadence or a building brand. When it comes to sales, social selling via messaging should be more targeted. The most effective use of messaging is not for “cold-calling” new prospects on their mobile device—which in many parts of the world is against the law—but for keeping warm leads active and engaged. Similar to the purpose of applications like LinkedIn Sales Navigator, messaging can help keep you in mind with prospects who are already in the sales cycle. If you’re social selling retail products, reaching out to interested prospects with new information on pricing, discount opportunities and deals can be a great way to shorten the cycle. Just make sure it’s an actionable offer—something they can click on to execute—not just a promotional ad. Watch for a new feature in the Social Media Center next month that will make “deal of the day” offers available for many retailers, which will be a good fit for messaging. If you’re selling solutions, messaging can be particularly powerful for maintaining contact with interested prospects during a long sales cycle. There are two approaches you can take: 1) share 1-to-1 alerts with prospects with whom you’re already in active sales discussions, and 2) invite prospects to opt-in to periodic market alerts and updates. Use messaging to alert your prospects to something timely and valuable and you’ll burnish your reputation as a valuable business ally. Messaging with 1-to-1 alerts is something individual sales reps can do with active sales accounts. Focus on informing prospects and customers about the most important and sensitive issues they would want to know about. Is there a new virus that might threaten their network? Is there a new regulation emerging that might impact their market? Is there a new technology launching that might disrupt their market? These are good alerts to share via messaging. Just be sure to hold your messages for things that truly matter—your goal is to be seen as a trusted advisor, not an annoyance. Getting prospects to opt-in to periodic alerts and updates is something you can do at a business level, and tie back to a thought leadership and content strategy. Similar to an email newsletter, a periodic messaging alert can link to a timely market brief or breaking news analysis from your subject matter expert or executives on issues of critical importance to customers. Unlike a scheduled newsletter based on a content calendar, alerts should be based less on frequency and consistency and more on urgency and importance for decision makers who need to stay informed of issues that may impact their business. 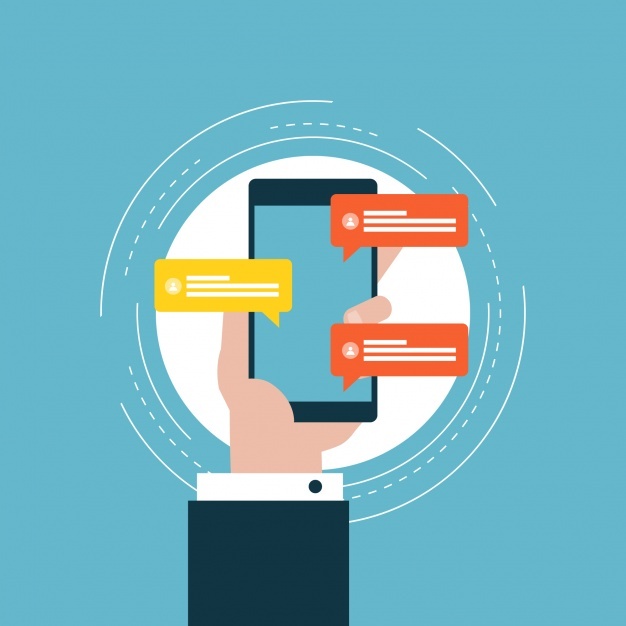 In a nutshell, messaging offers a valuable channel of communication with prospects and customers if you use it in a carefully targeted social selling approach. For retail and transactional sales, your goal with messaging is to be a deal maker, offering timely deals and opportunities to customers, ideally after they’ve opted in to receive them. For solution and enterprise sales, your goal with messaging is to be a trusted advisor, offering very limited but urgent alerts that help prospects make faster and smarter business decisions. In both cases, don’t use messaging to build your cadence and clout—that’s what social networks are for. Use messaging to alert your prospects to something timely and valuable and you’ll burnish your reputation as a worthy business ally.